Indet. Regular leaf. 75 days. Very pretty four ounce saladettes are very juicy and tangy. Production is awesome. 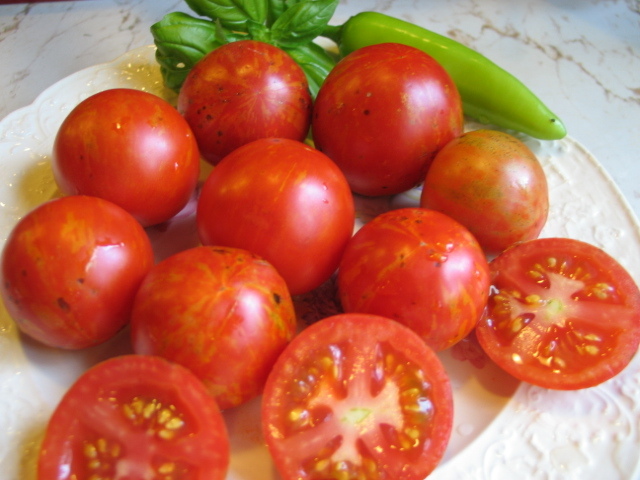 Make a great lunch boxer, salad or snacking tomato.